Charlotte Hollins, Manager of community-owned Fordhall Farm, explains why their taking part in Community Business Weekend, and why you should too. 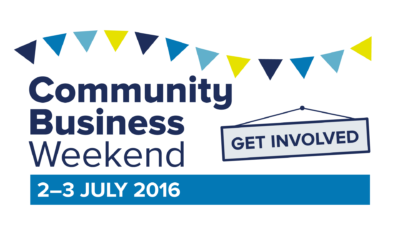 So, why am I championing Community Business Weekend? Well, ten years ago I was on a crusade to save Fordhall Farm from development. It had been my family home for generations. Not only did I have a deep connection to the land, but I also had a steadfast belief that when deeply connected to the local community we can create sustainable food systems that benefit all. 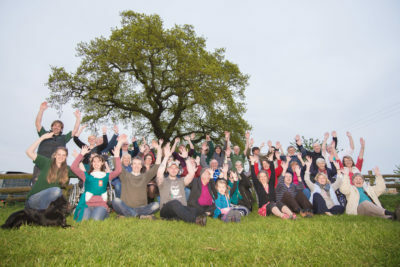 We came across community shares as a solution to save our farm and raised a staggering £800,000 in six months, successfully placing Fordhall Farm into the ownership of 8000 community shareholders. We became England’s first community owned farm in July 2006. It was a David and Goliath battle and it was won with sheer determination and the power of collective action, principles that resonate throughout communities. Ten years ago the concept of ‘community business’ was new, different and hard to sell. Well in the years since, the movement has grown astronomically. Community business is now in every facet of our lives and it benefits communities in every county, but it is still too ‘secret’. We have been working closely with Power to Change and Plunkett Foundation to celebrate the amazing community businesses that exist today, as part of our tenth anniversary celebrations. We hope that as many of you as possible will join with us and get involved with Community Business Weekend on the 2 and 3 July. It is the perfect opportunity to share your own inspiring story, in turn inspire others and promote your business in the local area. We have created a huge selection of resources to make it easy for you, including press releases, posters, signs and lots of ideas. Whether you are offering a guided tour, an open day, activities or you are simply telling your story through some posters – everything you can do will help build your business. The most sustainable businesses have loyal customers and trust. Your story and your ability to be open and share your journey, will give you this. To make the most of the national press coverage that is going to accompany this weekend, we recommend you decide what your need is and tailor your event around that. Use it as an excuse to sell yourselves. The regional newspapers are all waiting to hear from you! If you support the concept then we urge you to register on the Power to Change website. Even if you cannot hold an event on either the 2 or 3 of July, by registering you can get yourselves on the map! We hope this map will eventually include thousands of community businesses across the country so members of the public (and press) can find all those wonderful community businesses near to them – including you! Register your community business today and join with us to celebrate this inspiring movement.